Two years ago, walking by the sea, I listened to the New Yorker's fiction podcast in which the writer Lauren Groff read aloud her choice of story from the magazine's history: Alice Munro's Axis. It was pleasant company for three-quarters of an hour, telling the story of two women, Grace and Avie, as they reach adulthood in the postwar years, go to college and begin relationships. For Groff, reading an earlier story by Munro was an epiphany and changed her mind about fiction. As a young writer, the writers she wanted to emulate were "very experimental, the breakers of the form". "I didn't scorn but I didn't love the realists" she says, but, after reading the story, she "looked up and the whole world had changed". Munro is "a revolutionary" in what she does with time and structure, "but it's not super-flashy; it's very deep". "Alice Munro does time and structure better than almost anyone", seeing time as "layers of tissue as opposed to a linear way", which is "incredibly interesting in a short story format". The narrative twist of Axis is that the fictional events are narrated from the perspective of fifty years in the future when the past re-enters the present via a chance meeting, something that's bound to resonate with readers of a certain age, as it did with me. Nevertheless, two years on and surprised that Munro had been awarded the Nobel Prize, I listened again hoping to appreciate why the committee chose this "master of the contemporary short story" over other living writers. In the end, it helped me appreciate a lot more. You have made me unhappy. I bought your "Metamorphosis" as a present for my cousin, but she doesn't know what to make of the story. My cousin gave it to her mother, who doesn't know what to make of it either. So begins a letter to Franz Kafka written in 1917 by Dr Siegfried Wolff, a veteran of the trenches. He goes on to list other family members equally perplexed by the story and pleads for some help to protect his reputation: "Only you can help me". Apparently there is no evidence of a reply. Not that possession would help much: perplexity towards Kafka's fiction hasn't ceased despite the deluge of secondary material. Sometimes it is expressed with Wolff's politeness, sometimes with a journalist's boorish impatience. "Great antipathy towards Metamorphosis", was Kafka's own response. "Unreadable ending. Imperfect almost to its very marrow". The problem with Kafka's fiction is that while in general the surface presents a generic world, recognisable even to those of us living a century later, the content is not familiar; it does not counsel the reader with wise observations on the human condition or provide practical information and descriptions of places for the reader to absorb and use in their lives; there isn't even a happy ending in sight. The only resort for the reader is critical: "What do I make of this?". On a personal level the answer takes the regular form of what to say in discussion with friends on the common ground of 'a good read' but, in the public and more private arenas, this is more problematic. Over the decades there have been innumerable readings of Kafka's fiction named under various scholarly disciplines, each one underwriting his stories with a theoretical rigour lacking in everyday communication. This guarantees at least three things: that Kafka's fiction can be contained by structured analysis, has value only insofar as it confirms the premises of that analysis, and that the stories are capacious enough to accommodate an infinite number of disciplines. The first and second are full of promise for the reader keen to learn and use fiction as proof of theoretical authority. They also nullify the superstitious power of the object while allowing it to live like an insect quivering in a spider's web. However, these guarantees are possible only insofar as one is able to deal with the inherent bad faith of the third: why choose the Freudian reading over the Marxist? Or, if you think the Existentialist reading fails, what do you think of the Gnostic one? In bringing social esteem to the daydream of fiction, analysis raises fiction to new heights or depths of impenetrability, leaving the third guarantee full of despair because the number and variety of readings demands a decision, sending the reader back to the beginning of the search, only this time in the shadow of an entire library. Who is quivering now? Biography offers a compromise in that it is a craft requiring certain constraints yet without the rigidity of a theoretical armature: it is both authoritative and curious. 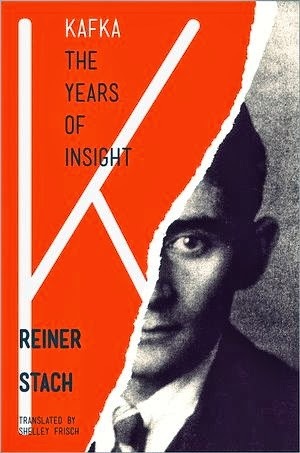 The Years of Insight, Shelley Frisch's translation of the third and final volume of Reiner Stach's definitive life of Kafka, begins with a scene-setter of Prague at the outbreak of the first world war and the crowd-pulling recreation of a trench from the frontline, which Kafka visited and which of course immediately suggests inspiration for The Burrow. We are on familiar ground here. But this is no series of suggestive coincidences. Instead Stach allows the reader to sense the free play of contingent conditions of Kafka's life, enlarging the picture when large events such as the war intervene, or switching the focus to characters like the actor Ludwig Hardt, the journalist Milena Jesenská and the agricultural adventures of his sister Ottla when their influence is entertaining (as in Hardt's case) or profound, as in the other two. This means there is much less of the prurient conjecture tainting Saul Friedländer's recent book. Stach continues with Kafka's magical reunion with Felice Bauer in Marienbad before the relationship ended for good, the postwar epidemic of Spanish flu, which Kafka caught and miraculously survived, the creative burst he found in his sister's tiny cottage beneath Hradčany castle and, finally, the discovery of his tuberculosis and the years of convalescence in various sanatoria; a time that included living on a farm in Zurau, writing The Castle, another fraught engagement, the affair with Milena and, finally, moving to Berlin with Dora Diamant. Stach argues that such contingency troubled Kafka, which in turn infuriated his closest friend, Max Brod. Whereas Brod was constantly publishing in multiple genres, performing at readings, making a public stand for Zionism, his friend was fastidious in the extreme, preferring not to push himself, commit to a movement or even pursue a living by writing. However, there is a brief glimpse of Kafka's possible other life when in 1916 he was invited by an art gallery in Munich to present "a literary evening" using his own work. He would be mixing with the German avant-garde including Rainer Maria Rilke. But it was in the midst of war and Kafka's reading of In the Penal Colony did not rouse the audience. As always, Kafka accepted the criticism and was not apparently distraught by the poor reviews in the Munich press. Stach writes that for Kafka "the concept of twists of fate stood for the absolutely unendurable" and, despite its apparently failure to convince others, this event at least convinced him this was necessary: he was a writer in essence and not a celebrity cruising the social whirl. The onlookers go rigid when the train goes past. 'If he should forever ahsk me.’ The ah, released from the sentence, flew off like a ball on the meadow. Nothing, nothing. This is the way I raise up ghosts before me. I was involved, even if only superficially, only in the passage, ‘Later he had.…’ mostly in the ‘pour’. For a moment I thought I saw something real in the description of the landscape. These involving moments had their equivalents in his life. He regarded the eruption of tuberculosis as an outburst of authority and wrote in order to appreciate the meaning. More happily, in a letter from Marienbad, he tells Brod of Felice Bauer's trusting gaze in the time they spent alone: "I got my bearings somewhat while she, who had always held out her hands into the utter void to help, helped again, and with her I arrived at a human relationship of a kind that I had never known before". "This gaze remained the symbol of everything good," Stach writes, "the assurance that redemption was only conceivable but feasible". Just a gaze; nothing said. Four years earlier he had noticed Felice's "bony, empty face that wore its emptiness openly" and, no matter how suspiciously unromantic it may read to modern eyes like Friedländer's, he was immediately attracted to her and the possibility of a marriage in which "harmony ... runs beneath any opinions" and "cannot be analyzed but only felt". Marriage was otherwise the false, abstract, oppressive realm of the father. Their subsequent correspondence eroded that potential for harmony, the ghosts of rhetoric drinking their written kisses. He felt it again in Marienbad when he joined the Rabbi of Belz and his entourage inspecting the sights of the spa town, writing in detail to Brod about that too, fascinated by the "serene, happy faith" of the man and his followers yet not convinced he was in the presence of mystic knowledge: "I think that the deeper meaning is that there is none and in my opinion this is quite enough." 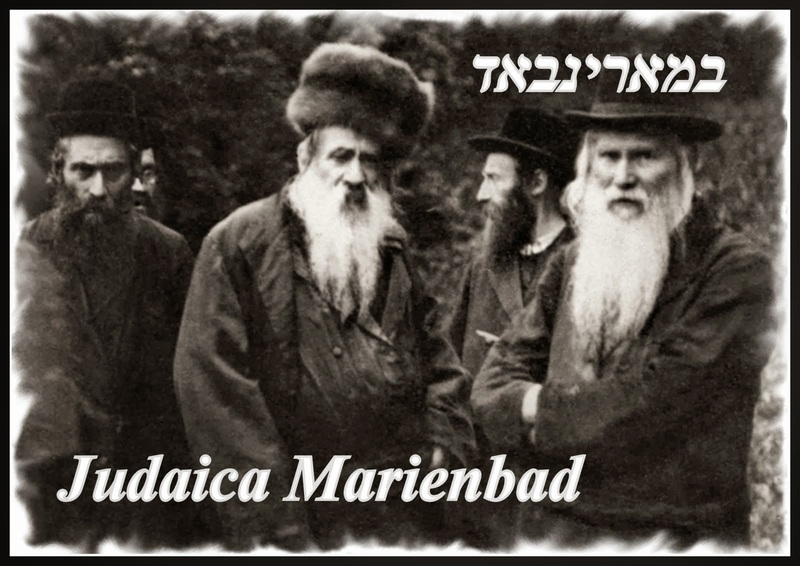 Reading the letter, one can't help but wonder what a biography might be like if the subject could be observed like the Rabbi of Belz, without interrogation and judgment. What might we see instead? This may be the province of another genre but the virtue of The Years of Insight is that it contains so many small details like Dr Wolff's letter and the Munich expedition that one is able to sense Kafka's as a living presence rather than a repository of secrets emitting evidence for the prosecution. But this is why Kafka has such renown: his stories hurtle forward, embodying what can only be felt not analysed: the pressure driving Georg Bendemann to throw himself from a bridge minutes after quietly sitting at a desk writing; the interruption of routine when Gregor Samsa is transformed into an insect and descends quickly toward death, continuing with his sister Grete stretching her young body on the family's celebratory picnic. What can we make of this terrible momentum? Perhaps Kafka felt Metamorphosis imperfect because its length obscured the overall gesture of the story and the short, aphoristic writings in the Bohemian countryside attempted a resistance to this tendency – sentences as gestures ("A cage went in search of a bird"). Writing seems to usurp metamorphosis and while at first its abstract definitions offer a defence from change, it then becomes a tormenting, unfulfilled promise of freedom ("My prison-cell – My fortress"). Writing's remoteness drives the perverse enthusiasm of the penal colony's officer for a form of execution in which writing is engraved in living flesh, guaranteeing its authority but, in this case, killing the one who values it so highly. In the opposite way, what kills the hunger artist is an absence of nourishment. Starvation is the truth misconstrued as art. For this reason it would have made no difference to Kafka had the audience in Munich been more enthusiastic about his story; it was not about confirmation of a writer's mastery. The unfortunate irony then is that Kafka's own authority as a writer largely rests on Dr Wolff's misapprehension that there is a deeper meaning requiring more than the movement of the stories and which only the author or sundry experts can impart. While readers of The Years of Insight receive a rich and moving account of the pressures of one man's life in a certain time and place, the true authority of the biography is felt in what is glimpsed around the accumulated detail, and even more so in what gets lost: photographs taken with Felice Bauer ruined because she inserted the film back to front, the stash of notebooks written in Berlin confiscated by the Gestapo, the life not lived because it was ended prematurely by a disease that would soon be curable and, most of all, what happened to his friends and family years later. It is not an authority of power. Death stalks the reading of any biography, even that of a living subject, but this one more than most. For seven years Kafka endured the tuberculosis that would kill him soon after he found domestic contentment with Dora Diamant. This makes for desperately sad reading. But nine years later the Nazis took power in Germany and the three-page epilogue registering without elaboration the fate of his family and friends is an exceptionally desolate space. Reiner Stach concludes by reiterating the fact that Kafka's world was thereby erased and all that remains is his language. This is true enough, yet his request to Brod to destroy all his papers was a necessary gesture in keeping with a deep mistrust of language, and a final gesture we should appreciate in kind.